This long weekend I am traveling, & needed both a shot of caffeine & wifi (to write this…), you can count on Starbucks to deal with both. I have been in multiple locations, & have always been really impressed with their staff. 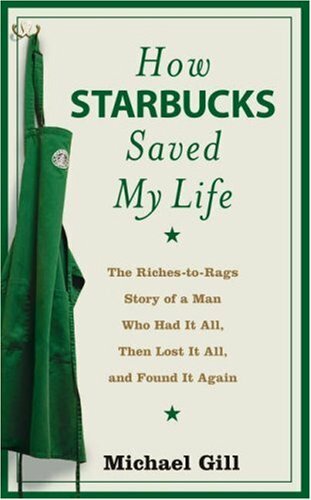 This week’s podcast is with Michael Gill, New York Times best-selling author of “How Starbucks Saved My Life.” Starbucks really did save his life, in many ways. You may be thinking, “Did a Barista do the Heimlich maneuver as Michael was choking on a venti-non-fat-extra-hot-½ Soya-½ skim milk Moccachino?” Well, not exactly. Continue the conversation on our Facebook fan page or my blog . What are some of the choices that have shaped your experience? Webinar; Get The Right Career Right Now! Join me Thursday, August 4th 12-1 P.M. E.T. I will be sharing how to identify if you are on the right career path. 1. Learn 3 effective ways to cope with career change. 2. Take our FREE 15-minute career test. 4. The Digital Job Search 3.0 – How to leverage LinkedIn, Facebook & Twitter. 5. Connect with other like minded professionals for networking & support. Open & willing to try something different, along the road with you! P.S. Need help finding your new future? Join The Career Identity Program , this 1-1 framework is a great way to get personal support & take control over your future. P.P.S. There is still time to enter The Great Canadian Horrible Boss Sweepstakes . Share your story, have some fun on our Facebook page & win.